Christmas shopping needn’t be a stressful, last-minute rush. 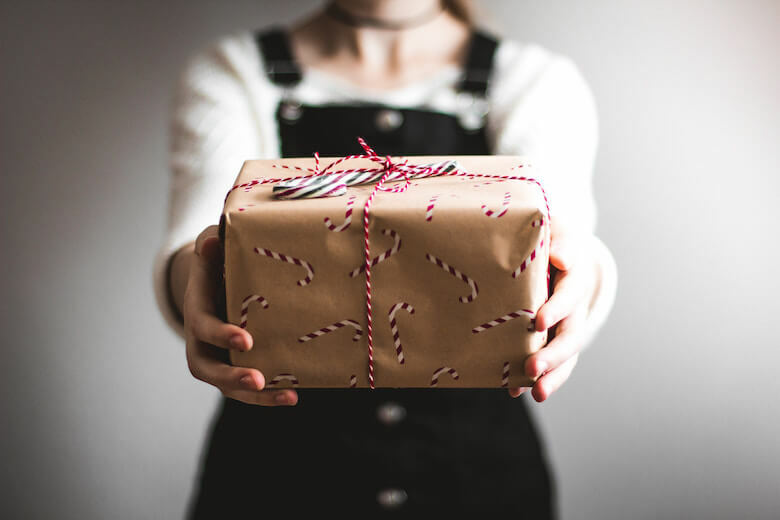 With a little forward planning you can ace your gift buying, without leaving the comfort of your home. So, while we’re not ones for buying mince pies in October, we do like to start thinking about our shopping now, before the mayhem truly descends. And now’s the perfect time to get organised, making lists and hunting out the best buys around. We’ve got you covered for beautiful linen homewares for all your loved ones, from tablecloths that will become precious heirlooms to supersoft pyjamas for the ultimate in luxurious lounging. Here are our top picks for holiday gifts they’ll love. A roomy tote bag makes an ideal gift for a teen who likes to shop. Soft enough to roll up and chuck into a backpack or purse, our linen bags will hold all their purchases as well as the usual teenage clobber (phone, money, make-up, hairbrush, snacks etc). Go for a bold, stand-out colour that will make a statement without being shouty. Packing your teen off for their first time living away as a student can be emotional. To keep the bonds with home, give them a gorgeous, hard-wearing, easy-to-care-for set of linen bedlinen. No need to iron, and they can simply bundle it into the washer and dryer. Our finest quality linen is designed to last for years, so they can treasure this first set of bedlinen and look back on their fledgling home-making. It will become a symbol of their independence but also of the comfort and safety of home. We also offer a monogramming service for all our linen homewares, so you can make them extra special. If your mother, or a mother you know, rarely has time to take care of herself, encourage a little time out by giving her a sumptuous pair of linen pyjamas. Whether she’s curling up on the sofa or pottering around the house on a quiet weekend morning, these will become her go-to comfort clothing when she needs a bit of luxury and rest. For a loved one who is always on the go or planning their next adventure, a trusty linen throw makes the perfect travel companion. They can bundle it into their backpack and use it for extra warmth on a night camping under the stars, or use it to dry off after a spontaneous swim in the sea, or as a picnic blanket during a long mountain hike. Our linen throws are machine-washable and extremely lightweight, leaving them extra space for their other travel essentials. Things can sometimes can get messy in the kitchen. Buy a linen apron for a dad who loves to bake so he can look the part, as well as protect his clothes. 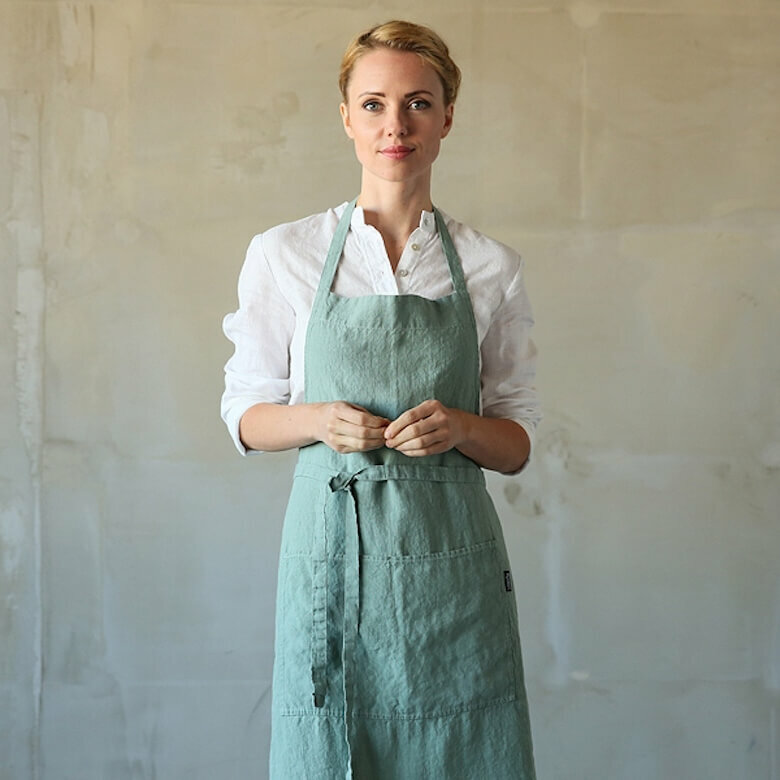 With deep handy pockets for utensils and tea towels, and crafted from durable linen, this is a long-term gift that can become part of your family’ cooking rituals. He’ll wear it when he’s roasting a Sunday chicken, or making cookies with the kids or preparing his famous French toast for breakfast. A lovely way to refresh a sitting room or bedroom is to add new cushion covers. If you’re shopping for someone who likes to stay at home and enjoys decorating their space, try our linen cushion covers. They come in a wide range of colours and are all made from top quality, machine-washable pure linen, which means they’re practical as well as beautiful. A lightweight, highly absorbent linen beach towel is a great gift for the wild swimmer in your life. Our linen towels take up far less space than a traditional terry cotton towel, and dry much more quickly. They also look stylish too, so are great for lounging by the lido as well as for a quick rub dry beside an icy river. Fast fashion is getting a deservedly bad reputation. For a fashionista with an eco-conscience who wants to buy sustainably-sourced and produced clothes that also look fabulous, linen is the answer. Not only does it use far less resources in the production process, it is completely biodegradable and there are no wasted bi-products. At LinenMe we take our responsibilities to the planet seriously, and our clothes are made as ethically and sustainably as possible. They last for a long time too, which means less waste and more value per wear. We love our versatile shirt dress that will become a wardrobe staple they can’t do without. If your loved one spends most of their time on Instagram, give them a gift that can become the backdrop to hundreds of beautiful photos. 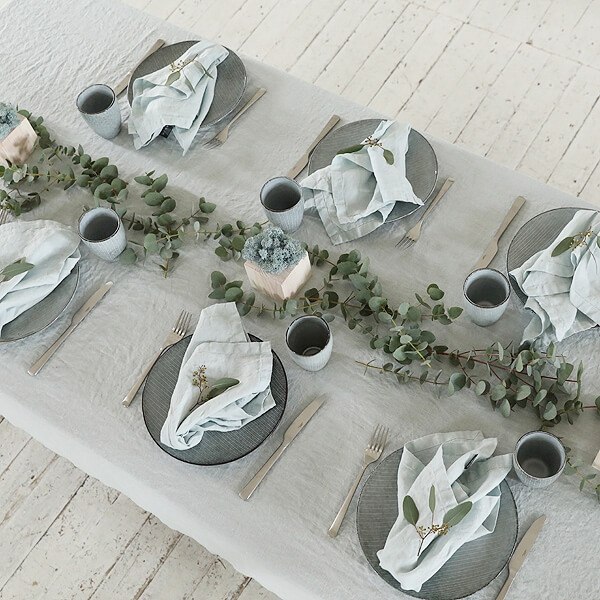 A simple linen tablecloth can offset a stunning table display or meal setting. There’s a reason you see so many of our linen tablecloths in these images: they have a natural charm and understated style that fits perfectly with the current trend for pared-back, informal dining and thought-through but non-fussy interiors. And this is a gift that will last for years, becoming an heirloom or a memory-prompt for hours of happy family gatherings or meals shared with friends. For more on Christmas table decorating with linen go here, and to read about why we don’t do Black Friday go here.